Many Ontario government and private companies have created rebate programs to promote saving energy and being kinder to the environment. Changes to your heating and cooling system can help you save on your overall annual energy costs. As Owen Sound heating and cooling service providers, we make it our business to be aware of the current rebates available to our customers. How Do Rebate Programs Work? Rebates generally work two ways – applied at the time of purchase or you have to apply online after the purchase. At Crose Mechanical, we try to take advantage of all current rebates and apply it for you. Many of our customers find it difficult to navigate things online, so we are doing it for you. We want to ensure you don’t miss out. Our office staff will go online and register your product or equipment for the extended warranty and available rebates. What Current Rebates Are Available? The Ontario government’s Save On Energy program is still in effect. Also for Union Gas customers, the Home Reno Rebate program is in effect. 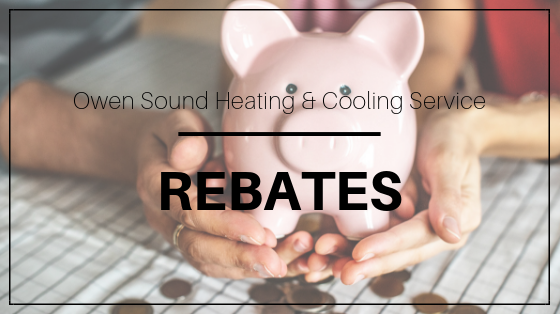 If you’re interested in a furnace or an air conditioning upgrade, give us a call and we’ll search applicable rebates available to you.